Lighthouse IT has gone all environmentally friendly with its new rapid response Vehicle. 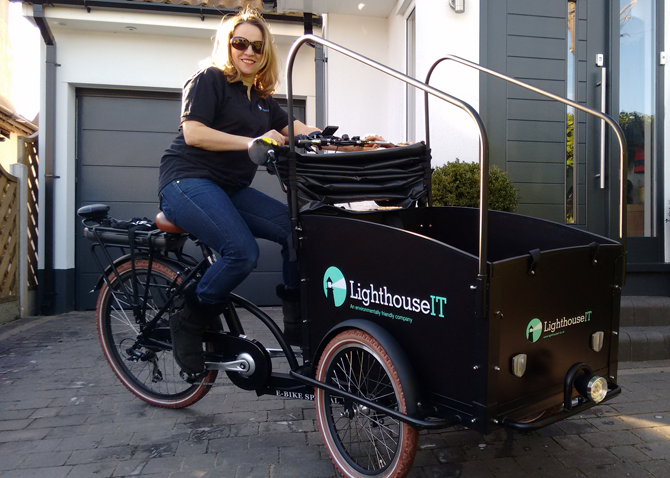 We have purchased a Dutch Electric Cargo bike for travelling to our local customers in Leigh on Sea and Southend. The bike made sense as it has a good load capacity, it has a 30mile range on one charge which allows us to get to customers quickly and in an environmentally friendly way.